Megan Ann Photography • featured on style me pretty! 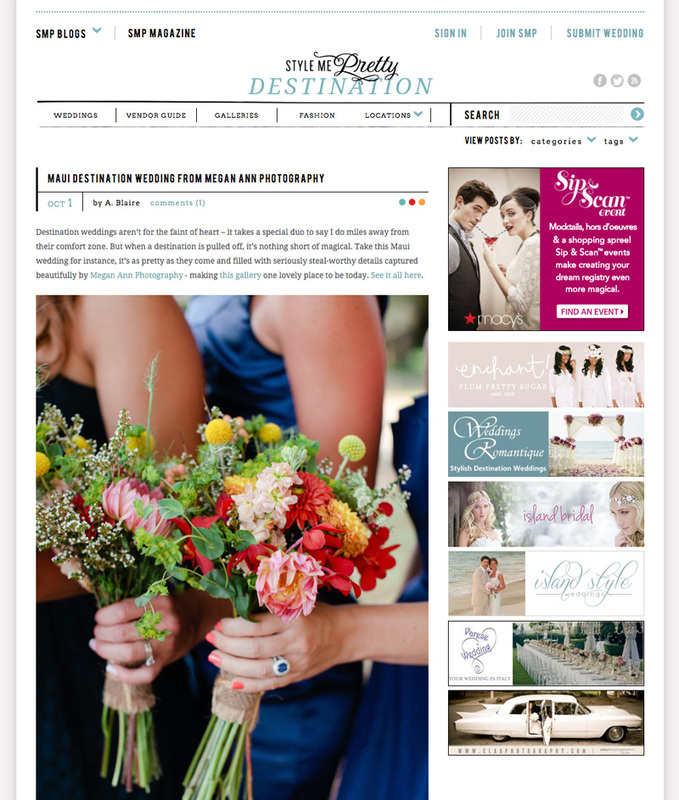 I was thrilled to see Melissa & Brandon’s wedding featured on Style Me Pretty Destination yesterday! Their blog is such a great resource for brides & grooms and I was honored to share a fabulous Maui wedding with their readers. Maui is one of my favorite places to visit and I’ve now been able to shoot 3 weddings over there…and hopefully more in the future!! Also a huge thank you to my dear friends, Melissa & Brandon, for allowing me to shoot their wedding! I loved every minute of it!! Click HERE for the link to the Style Me Pretty feature! Click HERE for the full recap of Brandon & Mel’s Maui wedding!